Increased boosts for all ground vehicle engines in Arcade. The average increase is 10%. A bug where modifications that affected a ground vehicle’s mobility might not apply has been fixed. T-10M model has been updated. New visual geometry and a more refined armour model has been introduced, as well as a new arrangement of components and modules. Anti-aircraft guns have been added for the Т32, М46 and М47 (You will be able to use these in PvP matches in a future update). 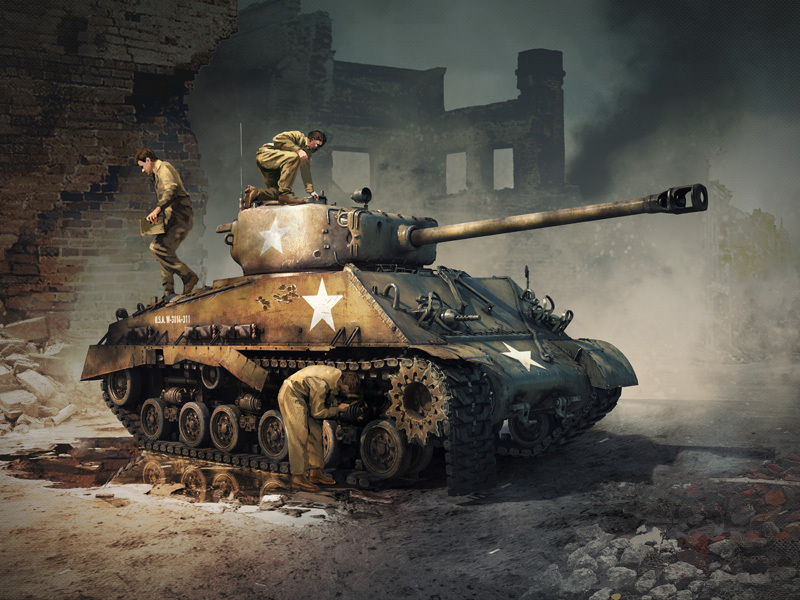 A bug with the M4A3E2 (and the 76mm cannon version), where, if the additional 38mm upper frontal armour was penetrated, but the main armour wasn’t, the tank could have been rendered inoperable, has been fixed. A bug which occurred during automatic track repair, where the turning of the vehicle was blocked, has been fixed. A bug which would cause a repair time that was too long, after one or more crew members were rendered unconscious, has been fixed. A visual bug which incorrectly showed an overload effect (incorrect dimming) has been fixed. BTD-1: the "Improved torpedo” modification has been returned. In Simulator Battles, reloading of turret mounted defensive weaponry is now possible only at airfields (automatic prohibition of firing for gunners can be located in: Menu > Controls > Basic > Toggle Gunners. Errors in the interface and ground vehicle’s info card where effects of the modifications were not displayed correctly have been fixed. Mistake where engine power in AB was displayed incorrectly (showing less power than actually available in game) has been fixed. “Agility” skill in tank crew skill tab has been moved up to other “group” skills. A bug in the model of destroyed tanks has been fixed (turret was displayed somewhat above the hull). Numerous changes in the descriptions of ground and aircraft missions before a battle. New objectives added for combined battles. Balance changes on “Ash river” and’ “Advance to the Rhine”. Optimization and client stability has been improved. Added restriction mechanics to aircraft overload levels in Realistic Battles. For the first three seconds of flight, the instructor will limit the exit out of the overload situation, which may otherwise destroy the aircraft through the wings becoming detached. Trophies update: A player can now receive 2x back-ups for one of the vehicles used in the most recent battle in a trophy.